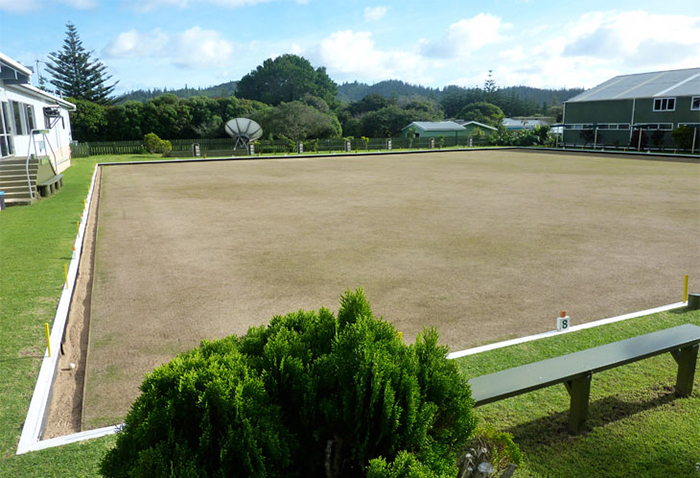 The Bowls Club on Norfolk Island is situated in the main street across from the only shopping mall in town. Jeff Pledger has been the greenkeeper there for nine years and is so passionate about his profession that he happily works seven days a week. Jeff toiled below ground as a miner for 35 years before deciding that it was time for a change. He embarked on three years of horticultural training, as a mature student and, after graduating, was able to secure a sought-after position as steward of the only bowling greens on Norfolk. 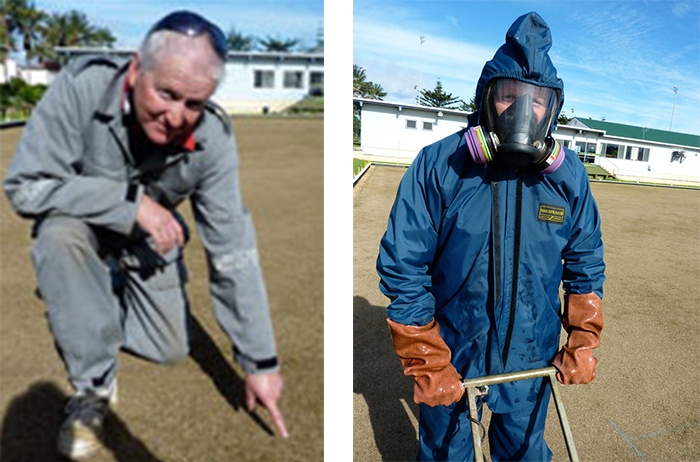 Jeff was keen to learn more about the biological approach after observing the efforts of Simon Bigg, who had successfully converted the island’s glorious seaside golf course into a chemical-free showpiece. Simon had learnt the ropes at an NTS course in Australia and was eventually inspired to organise a four-day NTS Certificate in Sustainable Agriculture course on the Island. Jeff seized the moment and attended this course. Norfolk Island seems destined to become a showpiece for all things sustainable. The major food producers on the Island are now biological farmers, so it is fitting that local lawn sports are heading down the same path. There is a stunning lack of understanding about the capacity of the skin to absorb both good things and bad. If you need to be convinced of this potential, then tape a clove of garlic to the sole of your foot and within ten minutes your mouth will be flooded with the bulb’s pungent flavour. Similarly, it is now recognised that transdermal magnesium is ten times more effective in the delivery of this important mineral than oral supplementation. If you are repeatedly picking up a chemically-contaminated golf ball or bowling ball, with bare hands, you will be absorbing toxins. In bowling circles there can be a double whammy. The common habit of licking your fingers before each bowl can also introduce the poison by mouth. Even though minuscule amounts may be involved, these are chemicals known to bio-accumulate, so the toxic potential can grow with every day on the greens. Toxic load is a recognised player in degenerative disease. Left: Jeff on the green. Right: The chemical suit Jeff would like to discard. After the four-day course, Jeff decided to embrace biological principles and he began by taking advantage of a soil test sponsored by the remarkably proactive Norfolk Island Government. They covered half the cost of soil tests that revealed a massive calcium excess, a screaming magnesium deficiency and the lowest levels of potassium we had ever measured (just 0.1%, which is thirty times less than the desirable level of this mineral in this soil). Copper and silica, two minerals strongly linked to disease resistance, were also very low. Jeff closely followed the NTS recommendations and was rewarded with impressive results. His major problems prior to this program had been poor turf health, bare ground in shady spots, a “concrete-like” soil structure, algae in damp conditions and some cases of fungal disease. He was also constantly battling black beetles and army worms. The dormant greens at the Norfolk club. The NTS program addressed the soil imbalances with a Prescription Blend™ that was manufactured in Queensland and shipped to the Island. The ongoing nutrition involved Turf-Tech Triple Ten™, an all-inclusive foliar fertiliser; Shuttle Seven™, a chelated trace mineral blend; Dia-life™, a source of liquid silica; NTS Fast Fulvic™, liquid fulvic acid; and a potent blend of beneficial soil microbes called Nutri-Life 4/20™.